It’s summer, and that means it’s vacation season. With early flights to sunny beaches and long train rides home, there are potentially many boring travels ahead, and a person could really do with something to keep themselves entertained. The Pointless Book and The Pointless Book 2 are the perfect thing. Remember those activity books from childhood with easy cross words and obvious word jumbles? Well, these activity books are nothing like that. In an ever tech-obsessed culture, Running Books found a way to make activity books relevant once again. 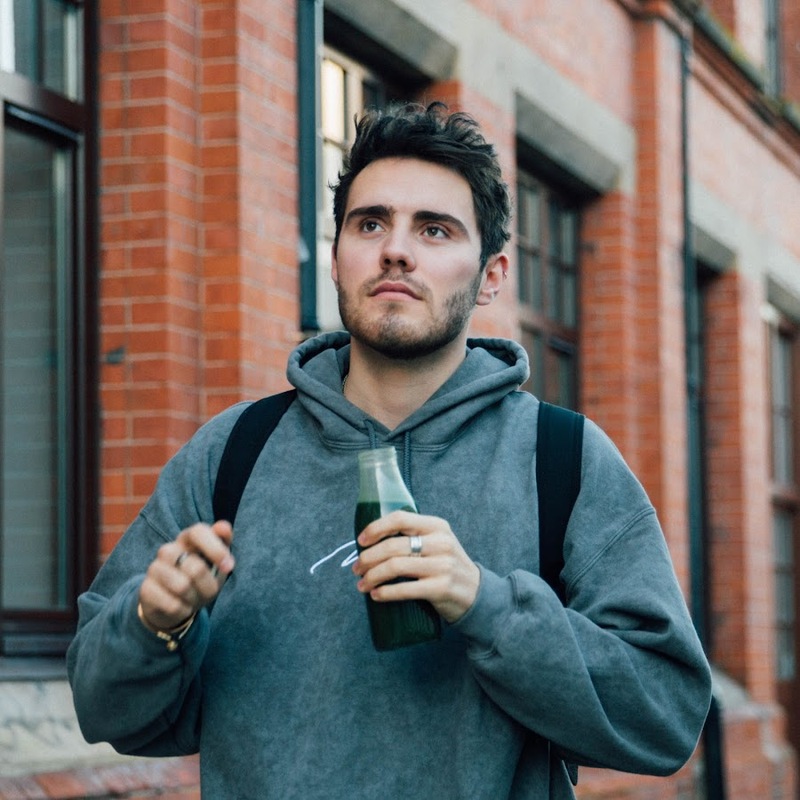 In a perfect partnership with the YouTuber Alfie Deyes they were able to take all the fun of Internet video and put it in one interactive book. The transition from web video to written word can be a little difficult. Capturing the essence of a YouTube channel in one book can be even more difficult, like capturing the essence of a person in a photograph. 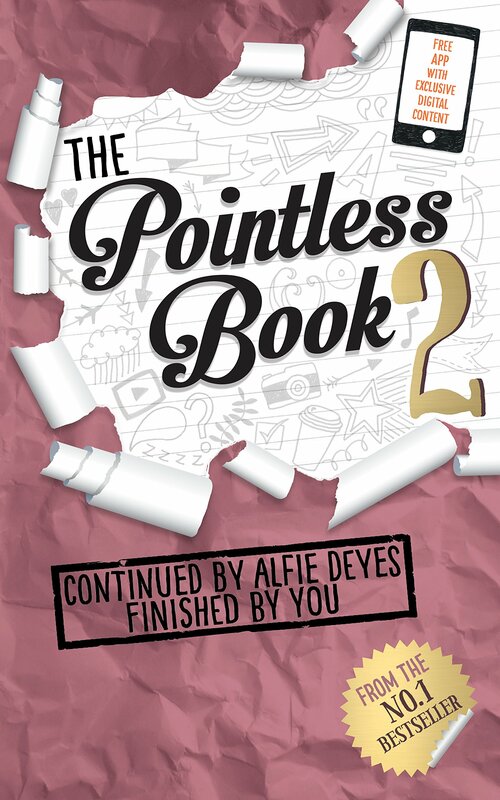 But The Pointless Book is a perfect extension of Alfie Deyes’ Channel. The tagline for the book is “Started by Alfie Deyes, finished by you.” This is spot on. Throughout the book, there are silly activities like “Draw Your Dream House” and “Draw Your Own Cartoon Character.” With the help of the Pointless Book 2 App, found on iTunes or Google Play, the reader is able to see how Alfie completed many of these challenges. There are exclusive videos and drawing from Alfie himself attempting the challenges he puts forth. This is what makes the book really unique. There is no separating Alfie from his book — he quite literally put himself into it. This is an aspect of his channel that has made him so successful. He does not treat his audience as nameless faceless fans; he treats them like friends. In the United Kingdom there was a contest with this book that would allow a few lucky winners to spend the day with Alfie. However, because of a technical error hundreds of people won. Instead of hiding behind a PR company waiting to release a statement, Alfie just made a video explaining the situation and asking for ideas on how to move forward. This man considers his fans to be his equals and that shows in his channel and in his books. The most important thing about these books though, is that they are fun. That is all an activity book really needs to be. It is easy to spends an hour or two lost in the activities, doodling what you might look like in in 50 years or making lists of countries A-Z. It is also quite easy to look ridiculous while completing some of these challenges. For example “The Book on Your Head Challenge” might garner some strange looks, but that is the fun part. If readers allow themselves to, they can get lost in this book and feel like a kid again. It is certainly a great way to spend a long train ride. This is the new activity book. This is how kids and adults will get their eyes off their phones for a moment and look at a piece of paper. This book, with its technical integration, will trick people into remembering how fun they had before the new app of the week. The whimsical style and Alfie’s personal touches make this activity book worth picking up, just in time for vacation. Arrow Recap/Review: "Broken Dolls" and "Crucible"
Reba Returns to TV in "Malibu Country"